Thrusters are a full body affair. You must enter the movement with full commitment, understanding that the crucial moment in the lift is connecting the bottom front squat position and moving into the shoulders to overhead. It thus requires, a full thrust of energy and is therefore a terribly exhaustive movement and why it tests skill, as well as control, speed, and endurance. I happened to capture this great exchange, if one can call it that, between teammates. 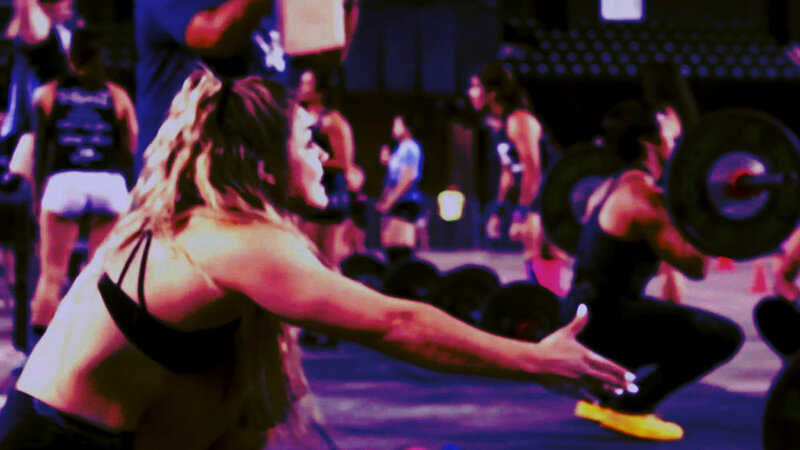 Really, it was one pushing the other towards her absolute limits and this is part of what it means to help your teammate out in CrossFit, as without that voice telling you to do one more rep you are likely, very often, to not do it.